Five people have died and 89 have been hospitalized as a result of a deadly E. coli outbreak involving romaine lettuce in the US. Since mid-April, the case count sits at 197 across 35 states, according to the Centers for Disease Control and Prevention (CDC). Of the five fatalities, two victims were from Minnesota and the other three from California, Arkansas and New York. A further six cases have been reported by the Public Health Agency in Canada “with a similar genetic fingerprint to illnesses” reported in the US. Despite the outbreak’s significant impact, no products have been recalled by the authorities because they’ve struggled to source the origin of the problem. 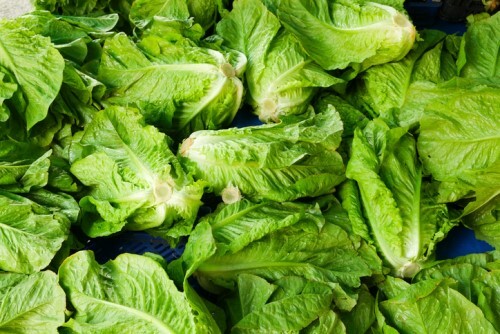 The Food and Drug Administration (FDA) has suggested the outbreak can be traced to romaine lettuce from the Yuma growing region in Arizona, but no single grower, distributor or region can be held accountable for the spread. “The biggest challenge with the romaine lettuce E. coli outbreak is that nobody can identify the source of the tainted product. That uncertainty affects the whole supply chain, from farmers to distributors, to retailers and restaurants, and it also causes consumers to react differently,” said Simon Oddy, partner at RGL Forensics, a forensic accounting firm that works closely with the insurance industry to quantify property and casualty losses. Product recall insurance can protect companies against such financial losses, however insurance companies have not yet been asked to respond to this E. coli outbreak because the standard triggers for product call insurance (typically: accidental contamination, government recall or adverse publicity) have not been met. There has been no formal government recall on romaine lettuce because the investigation still lacks a root contamination source. So far, the FDA has officially named one farm in connection with the outbreak - Harrison Farms of Yuma, Arizona. However, Harrison Farms has only been named the source of eight of the 197 reported cases. If the FDA makes more progress and starts to name and identify further sources, the landscape will change, and insurance policies will start to trigger, which could be “a reminder of how valuable dedicated recall insurance products can be,” according to Oddy. “There’s another interesting element to this investigation, which is that the harvest season for romaine lettuce in the Yuma growing region is now over and the fields are being used for growing other crops,” he added. “Its short shelf life makes it very unlikely that any romaine lettuce from the Yuma region is still available for people to purchase and eat. This means the problem could effectively come to a natural end without anybody ever identifying how and why it happened. That potentially leaves people in the supply chain with large financial losses and nobody to hold accountable. “Insurance firms will also have concerns about the supply chain. It could well be that they insure people at various points in the supply chain and so could potentially face aggregated losses from multiple sources. That will only happen if insurance triggers are identified by the authorities.